Land Rover Colorado Springs has a great selection of Approved Certified PreOwned Land Rover vehicles currently available! That includes this luxurious 2017 Land Rover Range Rover Sport priced at just under $70,000! The best part is this SUV only has 1200 miles on it – spectacular mileage for a 2017 vehicle. Plus, you can look forward to many other super features including advanced towing assist, rear parking camera, navigation system, sliding panoramic glass roof w/ power blind, and remote keyless entry. The powerful and efficient 3.0L V6 turbodiesel engine gets an estimated 22 MPG city/28 MPG highway. That means this performance SUV is ready for adventure without spending too much time at the gas station! 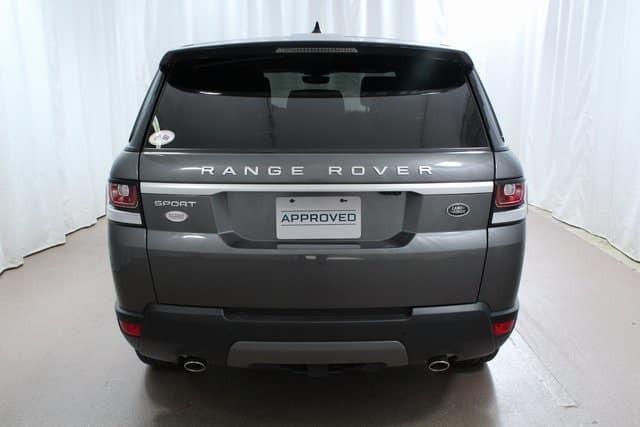 As an Approved Certified PreOwned Land Rover, you get extra benefits like 5 year / 100,000 mile warranty, 24-hour roadside assistance, 165-point inspection, vehicle history report, and more! Stop into Land Rover Colorado Springs and let us tell you more about the Approved CPO program benefits. Take a test drive of this 2017 Range Rover Sport or one of our many other quality pre-owned Land Rover and Range Rover vehicles. Land Rover Colorado Springs should be your destination when choosing your next luxury Land Rover!